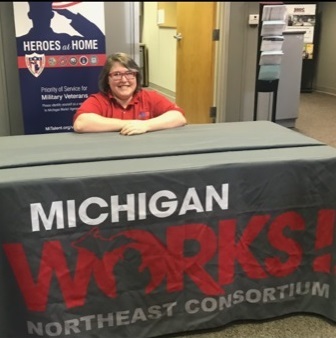 Ashley was referred to work with Michigan Works! from DHHS. She was a homeless parent with an infant to care for. In addition, she had never worked at a job before and had no schooling after high school. Michigan Works! staff helped Ashley enroll in MedCerts to help her get her medical office administrative assistant certificate. Ashley was also able to qualify for tuition assistance, so Michigan Works! paid for her MedCerts tuition. Ashley is finishing her classes with MedCerts now and will soon be taking her final test to receive her certificate.